MISS PEDDY & GRACE, a play in one act by William Ivor Fowkes, is a SEMI-FINALIST for Stray Kats Theatre Company's 3rd Annual Still Crazy After All These Years festival of short plays pertaining to the lives of today's Senior Citizens. MISS PEDDY & GRACE was first produced at Gallery Players in Brooklyn in 2015 and subsequently produced at Pend Oreille Players, Newport, WA. SYNOPSIS: Caroline Peddy--an experienced and dedicated caretaker of elderly loved ones--may soon be available for hire, but her current charge, octogenarian Grace Butler, sees her in a different light and has a different scenario in mind. 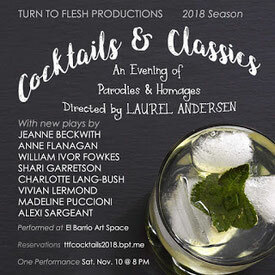 Turn to Flesh Productions is presenting a staged reading of MONET, a 10-minute play by William Ivor Fowkes, at its Cocktails & Classics event at 8PM, Saturday, November 10, 2018 at El Barrio Art Space, 215 East 99th Street, New York City. THE BRAZILIAN DILEMMA, a short film written by William Ivor Fowkes and based on his 10-minute play of the same name, is an Official Selection of the 2018 Adirondack Film Festival and will screen at 5:15PM, Friday, October 19, 2018 and 5:45 PM, Saturday, October 20, 2018 in Glens Falls, NY. THE BRAZILIAN DILEMMA stars Robert Z. Grant and Karen Chamberlain. Directed by TS Naylor. Produced by Pulkit Datta. BROOKLYN PUBLISHERS of Cedar Rapids, Iowa, has licensed MUSEUM PIECE #2, a short play by William Ivor Fowkes. 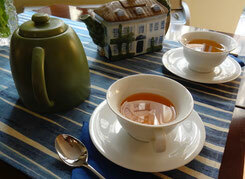 This play was first presented as a staged reading at Theatre Oxford, Oxford, MS, 2012. It was then published in Smith & Kraus Inc.'s volume, The Best 10-Minute Plays of 2013. It was produced by Pend Oreille Players, Newport, WA, in 2017. This short play was ultimately expanded and incorporated as one of the sub-plots in MUSEUM LOVERS, a full-length play by William Ivor Fowkes, produced last fall by Harlequin Productions in Auburn, NY. SYNOPSIS: Four American tourists at the Prado Museum in Madrid bicker about Velazquez's masterpiece, Las Meninas, until the figures in the painting have had enough and trade places with them. 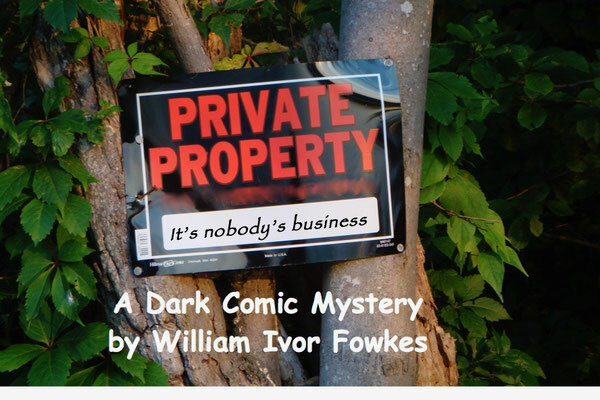 Timed to coincide with its first production--at The Players' Ring in Portsmouth, NH--PRIVATE PROPERTY, a dark comedy by William Ivor Fowkes, has been published and is available at Amazon and Barnes and Noble.com. WHAT: GAY PRIDE PLAYS 2018, Village Playwrights--an evening of seven 10-minute play readings, including GODIVA CHOCOLATE & A DIET COKE written and directed by William Ivor Fowkes. WHERE & WHEN: The LGBT Community Center, 208 West 13th Street, New York City--Room 310. Wednesday, June 27, 2018. HARASSMENT, a 10-minute play by William Ivor Fowkes, was a semifinalist for Edge Fest 2018 at Birdhouse Theatre in Milledgeville, GA. This play was first written for and performed as a staged reading at Abingdon Theatre's Moral Dilemma Comedies Benefit Challenge in 2011. Since then it has gone on to full productions at Colonial Playhouse in Alden, PA (2013), Thespian Production in New York (2015), and Ocean County College's Comic Shorts in Toms River, NJ (2017). With the welcome emergence of the MeToo movement, this play will probably now fade into irrelevance, if not impertinence, since it is a comic look at employee sexual harassment training courses. 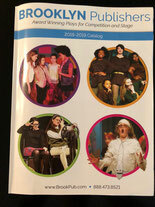 THE SESSION, a one-act play by William Ivor Fowkes, was given HONORABLE MENTION by the Old Opera House Theatre Company's New Voices Play Festival (Charles Town, WV). 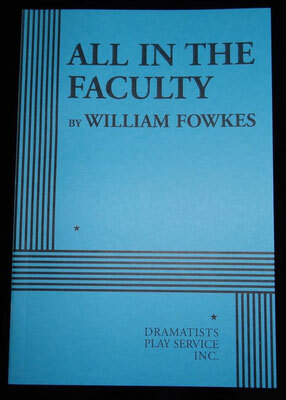 This was the first play by Fowkes ever produced--back in February 2005 at the Strawberry One-Act Play Festival in NYC. (Photo shows Maria Volker and Jerry Ferris from the 2005 production.) 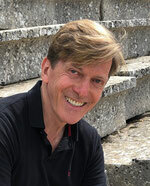 THE SESSION was expanded into a full-length play, COUPLE OF THE CENTURY, which was produced at the Downtown Urban Theater Festival at the Cherry Lane Theatre, June 2008, with Jerry Ferris reprising his role. SYNOPSIS: A man finally tells his therapist what's really on his mind. 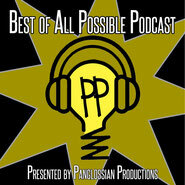 WHAT: The Radio Theatre Project of St. Petersburg, FL, which recorded and broadcast a radio version of NOT HERE YET, a one-act play by William Ivor Fowkes, presented their recording at the Atlanta Audio Fringe Festival, May 28-June 17, 2018. WHAT: TAKE TEN: AN EVENING OF 10-MINUTE PLAY READINGS BY THE DGPG WRITERS (Dramatists Guild Playwrights Group). Including work by Carol W. Berman, Beth Blatt, Sherry Bokser, Denise Chiarella, Sheila Felberbaum, Jane Flanagan, William Ivor Fowkes, Kate Gill, Susan Laubach, Tajlei Levis, Donald Loftus, & Roberta Pyzel. The evening's director is GRETCHEN CRYER. SYNOPSIS OF COFFEE BREAK by William Ivor Fowkes: A woman doesn't take it very well when her lover tries to break up with her over coffee. TABLE MANNERS IN LAKE FOREST, a 10-minute play by William Ivor Fowkes, is going to be presented at PIZZA & PLAYS, an evening of cold readings of 10-minute plays at Lucky Jack's Bar & Lounge, 129 Orchard Street, on Manhattan's Lower East Side, 7:30PM, Monday April 16, 2018. Two other playwrights in my writers group at the Dramatists Guild--Beth Blatt and Donald Loftus--are also having plays read that evening. Performer Stuff, a website for actors that publishes and sells audition materials, has made 11 monologues from 3 full-length plays by William Ivor Fowkes available. The plays include SUNSHINE QUEST (world premiere at the Fresh Fruit Festival 2014), PRIVATE PROPERTY (world premiere upcoming, August 2018, at The Players Ring, Portsmouth, NH, and ALL IN THE FACULTY (published by Dramatists Play Service). A Reading of THE HUDSON GUIDE TO TABLE MANNERS in Indiana. 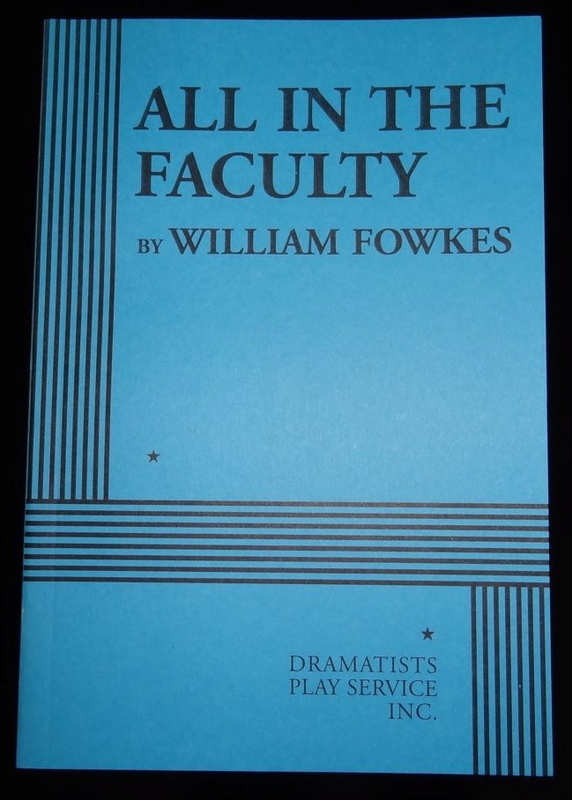 The Faculty Drama Club in Bloomington, IN presented a reading of THE HUDSON GUIDE TO TABLE MANNERS, a full-length play by William Ivor Fowkes, on January 28, 2018. SYNOPSIS: From Chicago to London, Santa Monica, Buenos Aires, and beyond, the friends and family of Michael Hudson--the owner of the Hudson Certified Vacuum Cleaner and Floor Care Company--have a habit of misbehaving in public. Their bad behavior even continues at his funeral, where family secrets are exposed, and the heir to the company is revealed. 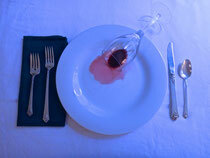 TABLE MANNERS IN HELL'S KITCHEN, a 10-Minute Play by William Ivor Fowkes, along with an author talkback, is being produced by The Wilmington Film Mob in Wilmington, DE later this year. Date TBA. SYNOPSIS: A straight couple and a gay couple at neighboring tables in a mexican restaurant have different things on their mind.